Born To Hack.!! 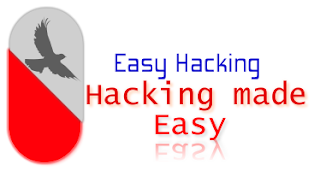 : RECOVER HACKED YOUR EMAIL ACCOUNTS???????? How to Recover Hacked Email Accounts? It can be a real nightmare if someone hacks and takes control of your email account as it may contain confidential information like bank logins, credit card details and other sensitive data. If you are one such Internet user whose email account has been compromised, then this post will surely help you out. In this post you will find the possible ways and procedures to get back your hacked email account. It can be a big disaster if your Gmail account has been compromised as it may be associated with several services like Blogger, Analytics, Adwords, Adsense, Orkut etc. Losing access to your Gmail account means losing access to all the services associated it with too. Here is a list of possible recovery actions that you can try. If you cannot find success from the Step-1 then proceed to Step-2. Unfortunately for Yahoo/Hotmail there is no second option like filling out the form or contacting the support team. All you need to do is either answer the secret questions that you have setup or reset the password using the secondary email option. To initiate the password reset process just click on the Forgot password link in your login page and proceed as per the screen instructions.